Stand Up for SINGAPORE: Punggol East Residence: We wanted change. They wanted change and, in the end, they were heard loud and clear. 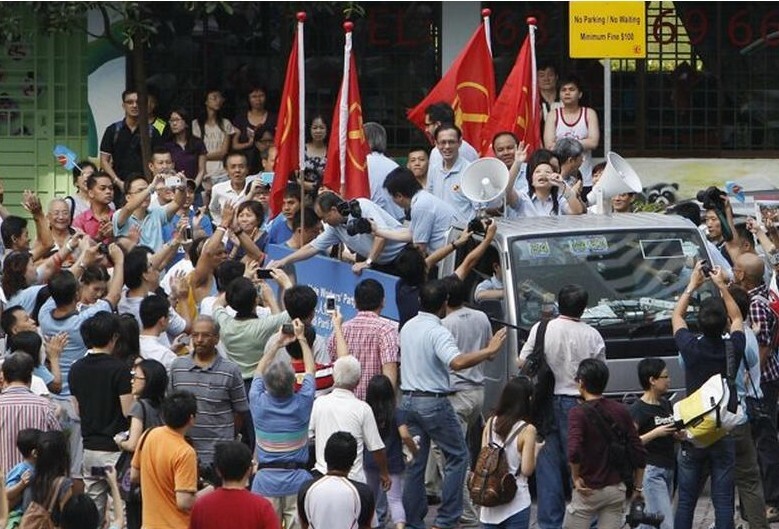 So said Punggol East residents said following Workers' Party's decisive win in the by-election on Saturday. WP candidate, 34-year-old sales trainer Lee Li Lian, came home with nearly 11 per cent more votes than her closest rival, Dr Koh Poh Koon of the People's Action Party. "I'm ecstatic. I was not surprised at all, in fact I expected them to win due to a lot of things that PAP did not fulfill, like the upgrading of Rivervale Plaza," said a 42-year-old logistician who only wanted to be known as Chris. "Sometime during the election, only then PAP went to the Plaza to see what they can do. They are one step behind WP, they should have worked harder," said Chris, who was among a group of almost 400 people who had gathered outside the counting centre at North Vista Secondary School. Marketing co-ordinator Xavier Chua, 24, also said he expected WP's Lee to win and hoped change would be on the way. "I support Workers' Party and I hope she (Lee) will bring changes. But I hope they can finish up Rivervale Plaza -- they don't have the government to help for the funds," he said. Home-maker Irene, 42, said she and her family were rooting for WP's Lee. "We are very happy about it, in fact this victory is what we expected. A lot of people are not happy with the standard of living right now, everything is so costly. We expect her and WP to speak for us in Parliament," she said. Engineer Mani, 52, said although he had hoped the PAP would win, he was disappointed how "it all boils down to profits"
"That is the setback for them. Everything they want to do, they want to see profit. You take the MRT, they want to see profits, you can take transport, they want to see the profits, and it's the same with health care. They should be more human, they are not treating the people right," he said. 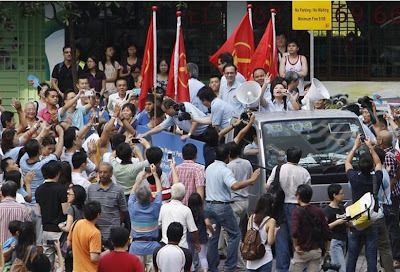 Other Singaporeans also took to Facebook to post their reaction following WP's win. Responding to PM Lee's statement on his Facebook page congratulating Lee Li Lian and the WP for their win, Samster SG wrote, "Please listen to the people. This was a major swing in votes. Punggol East by-election is a report card of the ruling party performance. There are serious frustrations on the ground which you have to acknowledge". Another Facebook user Ivy Lee also wrote on the same page, urging the Prime Minister to work with the WP MP-elect. "Mr Lee, PAP has done a good job in many areas. You can't please everyone. But please stop dangling carrot or threatening the people. Show that you really care for the people regardless which team has won. Give the opposition sufficient support so that we all move together as one," she said.